BASKETBALL SPOTLIGHT NEWS: Basketball Spotlight Exclusive: WACG All Stars Coach Carlos Speaks Out! 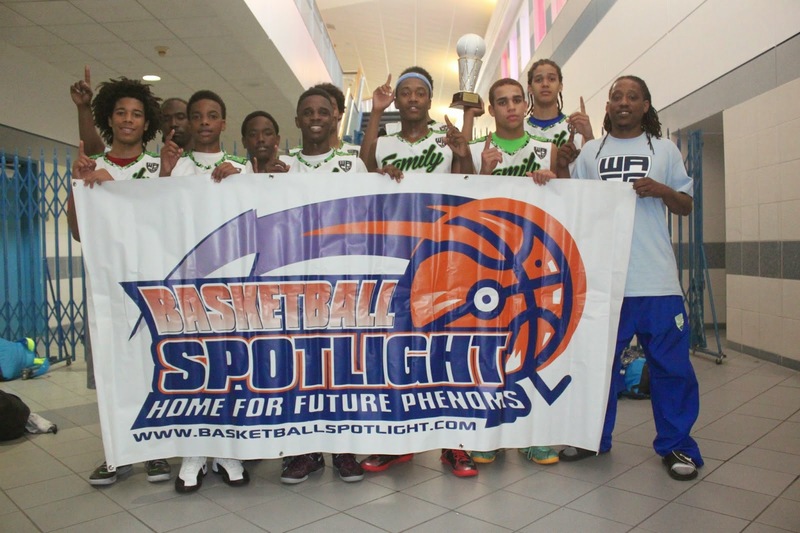 Basketball Spotlight Exclusive: WACG All Stars Coach Carlos Speaks Out! Five years ago We All Can All Stars stepped into the AAU world and took it by storm by winning the 5th Grade AAU National Championship. Since then the Nashville, Tennessee based program has collected 5 National titles (3 boys and 2 girls), appeared in 23 final fours and played in 6 national championship games. You cannot mention WACG All Stars without talking about their charismatic coach Carlos. We sat down with the head man for an exclusive one on one. BS: Why was WACG All Stars started? CC: Well Coach I came from Houston and moved to Tennessee. I wanted to go somewhere that wasn’t known for basketball and develop a national program. See our concept is that We All Can Go 1 thru 10. Most programs use the daddy ball concept but not WACG. We will always put the best players on the floor. BS: What are some of the biggest misconceptions about your program? CC: That I’m this street guy that goes out and brings in thuggish type kids. That’s the farthest thing from the true coach. I have 62 players in my program and 61 of them attend private school. The only player that’s in public school is my son Jwan Carpenter. WACG loves helping kids see there’s more to life than their own neighborhood. Coach we give them a chance to see the world. That’s something they will never forget. We know that most of these players have very little chance of being professional players so we just try our best to put them in position to get a college scholarship. BS: How do you feel about some of the new teams popping up such as Slam City Elite and other teams in the country? CC: Coach some of these teams don’t have a resume. How are you going to call out WACG when you haven’t done anything yet. Go out and win some titles then talk to me. The only team I respect in the country is Team IZOD (Supreme Team). They are the only squad to say they beat me more than once and Coach Reggie Carter always has them boys prepared and ready to go. 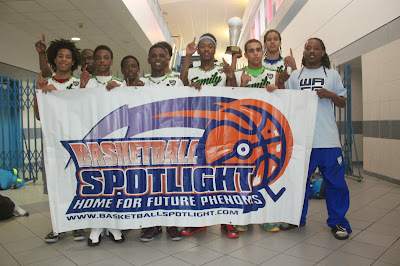 BS: Speaking of Team IZOD, how was your experience when you guys matched up at the Basketball Spotlight Atlantic City Showcase? CC: Coach I’m going to be real, I’ve coached in over 600 games and numerous national championship games but that was by far the best game I ever been a part of coach. The teams were pumped and the atmosphere was tremendous. You set a stage that has been unmatched. It was the best tournament I ever played in period. BS: How is it coaching a possible future NBA draft pick in Marvin Bagley? CC: Coach, Marvin was the best talent I ever had but what made it special was seeing him get better every year. People don’t understand how hard this kid works and loves the game of basketball. It’s been a blessing and total joy having him a part of the WACG All Stars family. BS: How does this kid Ben Todd compare to Marvin? CC: Coach, as a 7th grader Benn is not as explosive or athletic as Marvin but he could be more skilled. This kid is already 6’10 with a good skill set. It’s scary with the right amount of work how good he could be. He has to be considered the #1 player in the country for his class. BS: What are your predictions for this season? CC: Coach our program is so deep I know we will win the AAU National Championship for grades 5th, 6th, 7th and 8th. A clean sweep Coach. Don’t forget WE DEM BOYS Coach.